Providing a radical new reading of Hayek's life and work, this new book, by an important Hayekian scholar, dispels many of the mysteries surrounding one of the most prominent economists and political philosophers of the twentieth century. 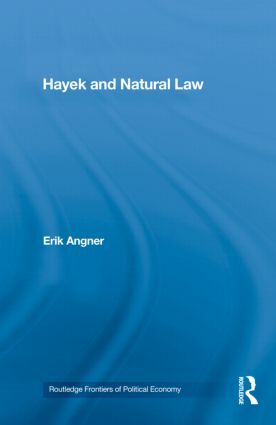 This fresh and incisive analysis is the perfect introduction to Hayek's thought for academics involved with philosophical economics and the history of economic ideas as well as for scholars of all levels seeking a new interpretation or deeper understanding of the origins of his work. Erik Angner is Assistant Professor of Philosophy and Economics at the University of Alabama at Birmingham. He holds two seperate Ph. Ds from the University of Pittsburgh, one in Economics and one in History and Philosophy of Science and has published widely on a variety of topics in history, philosophy and methodology of economics.